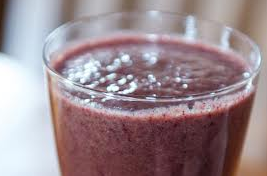 Blueberry Smoothie Recipe with Kale and Carrot For PC Sale Items! Here's a smoothie recipe I found for the cheap EBF Salad (Kale), FREE carrots and Wyman's blueberries on sale this week at Price Chopper! Combine all ingredients in a blender. Blend on highest setting for about a minute.